Do you ever wonder why some people always have the freshest kicks, and you’re stuck walking around with some busted up sneakers from last season? There’s a pretty simple reason why you never cop limited-edition sneakers. You buy into all of the myths and those beliefs hold you back. The people who have the best sneakers know the truth, and that is why they are able to fill their closets with one great pair of sneakers after the next. If you’re sick and tired of believing the lies, it’s time to bust those myths once and for all. Learn the truth so you can finally put those busted up kicks in the trash where they belong and start copping some sneakers like the big boys. If you haven’t done so though, do yourself a favor and read our answer to the question:”where can I buy a pair of yeezys” first. You won’t be disappointed. Now let’s take a look at some of the biggest myths out there. Then, you’ll be ready to use sneaker proxies to load up on kicks. There’s a myth going around that you need a supercomputer to cop sneakers. It’s true that you need some serious resources to get a leg up on the competition, but you don’t need those resources in your home. Instead of buying some supercomputer, get a VPS, or virtual private server. You can use your VPS’s resources to cop sneakers, meaning it doesn’t matter if your computer is a piece of junk. You could be running an insanely outdated version of Windows on your computer and still get access to the latest software on your VPS. That means you could compete with the biggest and most powerful sneakerheads out there. You do need to be smart when picking a VPS, though. As with anything out there, they aren’t all the same. There are some features you need to look for in your VPS. First, go with a sneaker server instead of a standard VPS. Sneaker servers are formulated for buying sneakers online. They have the speed and resources you need for copping sneakers. Also, look at the server’s location. You want a server that is close to the sneaker data centers. The closer you are to the data centers, the less latency you’ll experience. Think of it this way. If your server is 1,000 miles from the data centers, your signal has to travel 1,000 miles to make a connection. On the other hand, if your signal is right next door, it just has to travel a few yards to make that same connection. The connection is much faster when the signals don’t have to travel as far. Finally, you should go with a VPS that also has proxies in the same data center. This is crucial. This goes back to latency. You want to cut down on travel time between the components. When your VPS and sneaker proxies are in the same data center, they don’t have to travel far to connect with one another. The less time they spend traveling, the less latency you’ll experience. The less latency you experience, the more time you’ll have to cop sneakers. People think it takes a ton of time to cop sneakers, but that simply isn’t true. Maybe it would take a lot of time if you didn’t have the right tools, but there is no reason to spend countless hours copping sneakers these days. Now, you have something called bots at your disposal. These bots work with proxies to help you cop tons of sneakers in a short period of time. Here’s how it works. A bot is a piece of software that automates the sneaker buying process. Basically, you tell the bot what you want and it goes out and gets it. It puts the sneakers in your online shopping cart, completes CAPTCHAs, and goes through the checkout. Some bots can go through multiple checkouts at one time so you can cop some shoes over at the Adidas store while doing the same at Eastbay and Footlocker. That way, you can stock up on limited-edition shoes. At the same time, sneaker proxies hide your IP address so the sites don’t know where you’re coming from. You can even run different bots with different proxies so it looks like you have a bunch of different people buying sneaker from all over the world. The options are endless with proxies and bots. 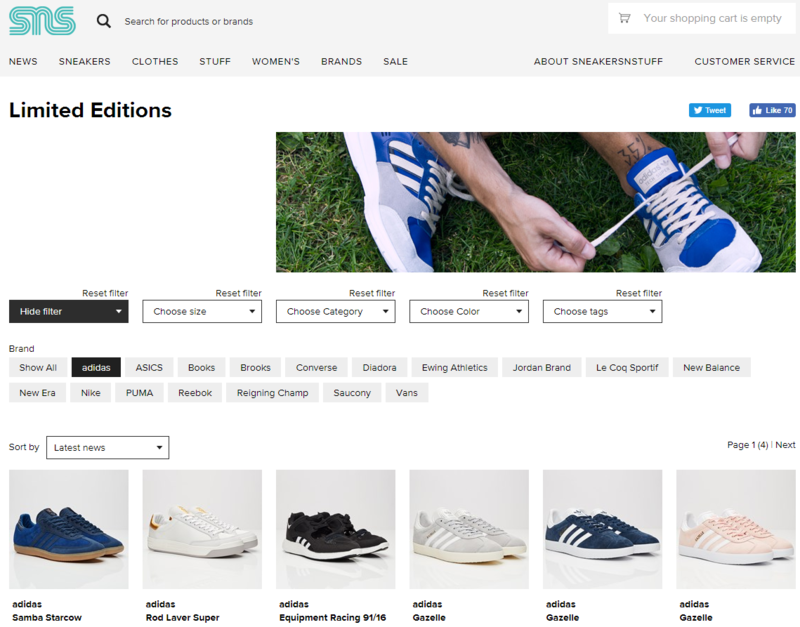 With so many configurations, it is easy to trip the sneaker sites up so you can buy as many shoes as you want. You might be wondering what bots you should use. This really a matter of preference, but some do stand out. The Better Nike Bot – All in One is a top choice. Nike might be in the title, but it works with a variety of sites. Yes, it works with Nike, but it also works with Footlocker, Eastbay, Adidas, Champs, and more. One of the best things about this bot is it’s constantly adding features. Some people build a bot and then forget about it, but the creators of this one are interested in keeping it relevant. They are even currently working on integrating Shopify sites into the bot. Plus, it comes with lifetime free updates so you know you’ll be taken care of when you go with this bot. You can also go with EasyCop Ultimate, Another Nike Bot, NikeShoeBot, or one of the others. Bots are growing in popularity, so the list of available options will continue to grow. Someone told you that you have to jump on a plane to New York to get some sneakers that are being released in New York. That guy was either playing a prank on you or he’s clueless. Let’s assume that he’s a nice guy and he doesn’t realize that you can use proxies to buy shoes from anywhere in the world. Let’s say that Adidas is rolling out a limited-edition sneaker in various locations. On Monday, people in NYC can buy the shoes. Then, on Tuesday, people in LA can buy them. You don’t need to hop on a plane from one location to the next. You just need to get a proxy with an IP address for the desired location. Then, you’ll be able to get all of the sneakers you want. It’s really simple. As long as the sale is also online, you’ll be able to get in. Your IP address will make it look as if you are in that location, even if you’re halfway across the world. You’ll get past the site’s security controls, and you’ll buy your sneakers. Let your buddy fly across the world for the sneakers. You can stay home and use a proxy. You might want to cop sneakers, but the idea of installing software is holding you back. Who can blame you? Software is often full of bloatware that slows down your computer. Copping sneakers is a fast business. Every second counts, and bloatware could cause you to miss a great deal. In reality, you don’t need software to use a proxy. You just need to input the proxy settings into your web browser and you’ll be surfing the web in no time at all. Then, you can easily go to various sneaker sites and cop some shoes. Better yet, you can have the bots handle it for you. How you go about this depends on the browser that you use, but in most cases, you’re just going to head over to your browser’s settings and then find a spot to input your proxy settings. This will typically be in your internet settings. Then, you just need to pop in the proxy settings provided by your provider, and you’ll be ready to connect. It is that simple. You don’t need software or anything else to get started. This is one of the biggest myths out there. Some people think that proxies are slow. First, it’s important to understand that the biggest players in the sneaker business always use proxies. It is the only way to cop large amounts of sneakers. If you do not use proxies, you will get banned by the sneaker sites. These sites put restrictions on how many sneakers you can buy. They track your IP address, and a proxy is the best way to get around the tracking. Because of that, whenever you see someone with a closet full of rare sneakers, you can bet that a proxy was involved. Sneakers go fast online, and the reason is pretty simple. The best proxies are fast. Blazing SEO, for instance, has 1 Gbps of unmetered bandwidth. Also, the proxies from Blazing SEO share a data center with sneaker servers so you don’t have to worry about latency holding you back. You might wonder how the myth of the slow proxy spread around. It all comes down to the free public proxy. Make no mistake about it. Free pubic proxies are slow. They are not a good way to cop sneakers. If you use one of these proxies, you will still be trying to connect to the network when other people are placing their orders. When you get a dedicated proxy, you have your own resources. On the other hand, free proxies make you share resources with a ton of people. There aren’t enough resources to go around, so you have to deal with insanely slow times. That’s the least of your problems with these proxies, though. You also have to deal with potential viruses and problems like identity theft. In other words, free proxies are just a huge headache and you should probably avoid them. When sneakers are released, you only get one chance to pick them up, so you don’t want to risk your chance with a free proxy. That is an easy way to end up wearing last season’s shoes for another year. There is a huge misconception that you’re on your own if you get a proxy. Because of that, sneakerheads are afraid to move forward with a proxy. They don’t want to get the proxy and fail because of limited support. Again, this myth comes from free proxies. If you go with a free public proxy, you are on your own. If someone is giving you something for free, he or she isn’t going to spend a lot of time providing you with customer service. That’s especially true if the free proxy is run by hackers. Hackers don’t tend to spend a great deal of time helping you set things up. They like to stay behind the scenes so they can steal your information once you put it into the system. On the other hand, dedicated proxies come with excellent customer support. In fact, Blazing SEO even offers support directly from the owner. This type of one-on-one support makes it easy to get everything set up before you cop your sneakers. If you’re worried about getting everything lined up before the big release, don’t stress out as far as your proxies go. You’ll have the support you need, as long as you avoid those dangerous free proxies. As you can see, you’re letting the myths get the best of you. As long as you continue to believe the myths, you aren’t going to get the best new release kicks. Stop believing the myths and start buying your favorite sneakers as soon as they come out. This is the best way to get limited edition sneakers at retail price. Forget about going through a middleman and paying two or three times what the sneakers are worth. Use sneaker proxies and pay the fair retail price for your sneakers every time. You’ll have extra money in your pocket and cool kicks on your feet. Plus, you’ll have a lot less stress on your shoulders when you let your proxy, server, and bot do the work for you. Why Do Footlocker Proxies Get Banned?